I started fly fishing at the age of 10 years. One of my best friend is a fisherman and he showed me how to cast a flyrod. At this moment, i fallen in love how to caught fish with this technique. 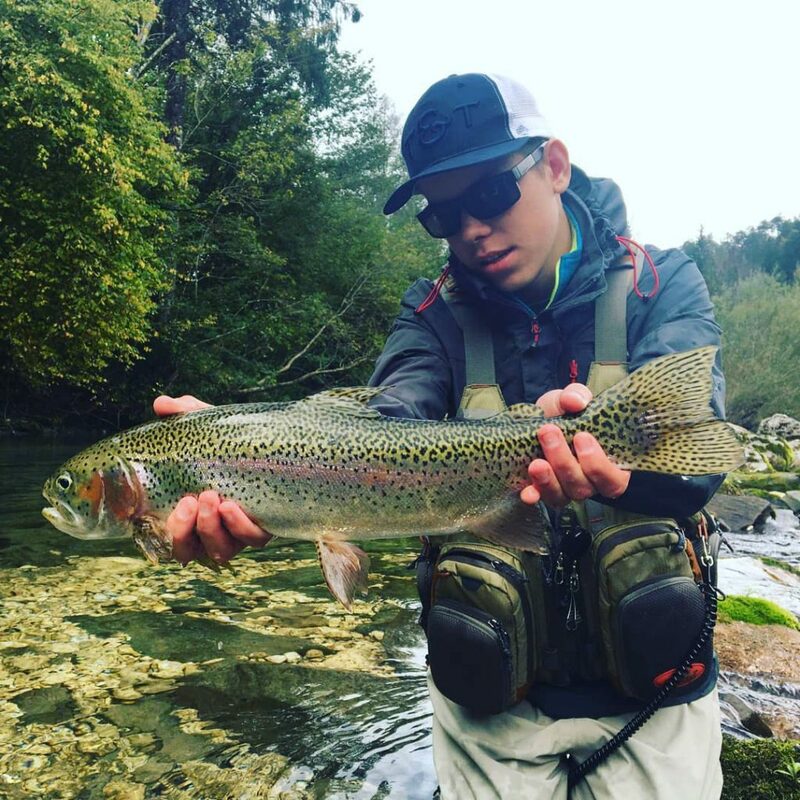 I live in Tolmin, Slovenia, which is one of the most popular places for fly fishing in Europe. There are lots of different rivers in the surroundings, from small streams to big rivers. I fish for marble trouts, grayling and rainbows. When i wake up in the morning, i have to look out of my window and checking what the river Tolminka is doing. My personal time of the year is summer. I just love summer evening hatches. When fish start feeding on the surface and you have a chance to catch some big marble trout or some trophy grayling on a dryfly. Now i´m fishing only in Slovenia on the different rivers, like Savinja, Sava Bohinjka.. and of course my home-water. My bucket list is quit long. I would like to travel the world and fish in the top destinations like Patagonia, Alaska, Norway and Sweden. What do you like most about WorldFlyAngler Products? I just love Fishpond bags. They are made from best materials and have a lot of spaces. You can clip a lot of different gear on like my clipper, tippet holder etc. I also like the Fishpond nets. Deep, clear nets and wide in different sizes. My new T&T 904 ist my Rod ´you will eventually own`. The right dryfly in the right time. I go for CDC-Flies in brown with 7x Tippet during the summer. It works really well.